Yellow Foot chanterelle mushrooms are very small in size, averaging 2-7 centimeters in length, and are convex in shape, similar to a vase with a hollow center. The waxy cap is tawny brown with wavy, rippled edges and thin, soft, moist, and sticky skin. Underneath the cap, there are wave-like, gilled ridges that run partially into the stem. The smooth, thin stem ranges in color from saffron gold, burnt orange, to canary yellow and fades slightly as it matures. 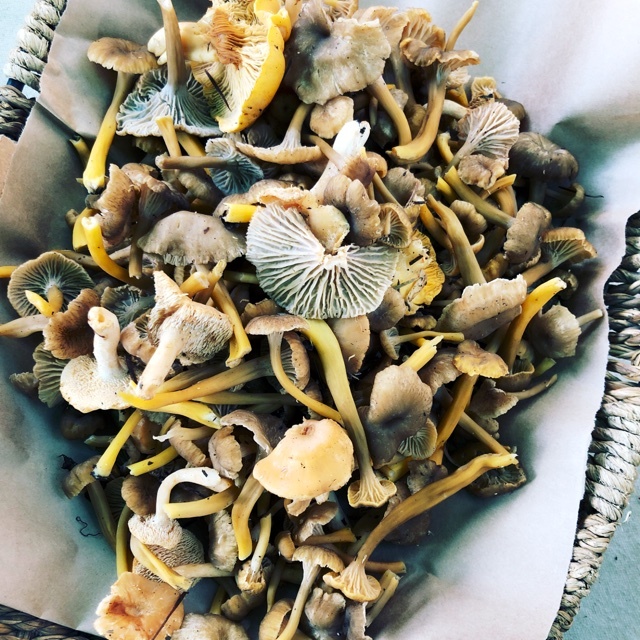 Yellow Foot chanterelle mushrooms have a subtle, fruity aroma and a smoky, peppery flavor when raw, but when cooked, they become mild, earthy, and tender. Yellow Foot chanterelle mushrooms are available in the mid-winter through mid-spring. Yellow Foot chanterelle mushrooms, botanically classified as Craterellus tubaeformis, are a wild, late-season, edible mushroom that is a member of the Cantharellaceae family. Also known as Winter mushrooms, Funnel chanterelle, and the Yellow Leg mushroom, Yellow Foot chanterelle mushrooms are unable to be commercially cultivated due to the inability to recreate the natural symbiotic relationship between the mushroom and the host material.  Found growing on moss, rotted wood, and other organic materials in wet, lowland, boggy, forest areas, these mushrooms are typically found in clusters in northern North America and northern Europe. 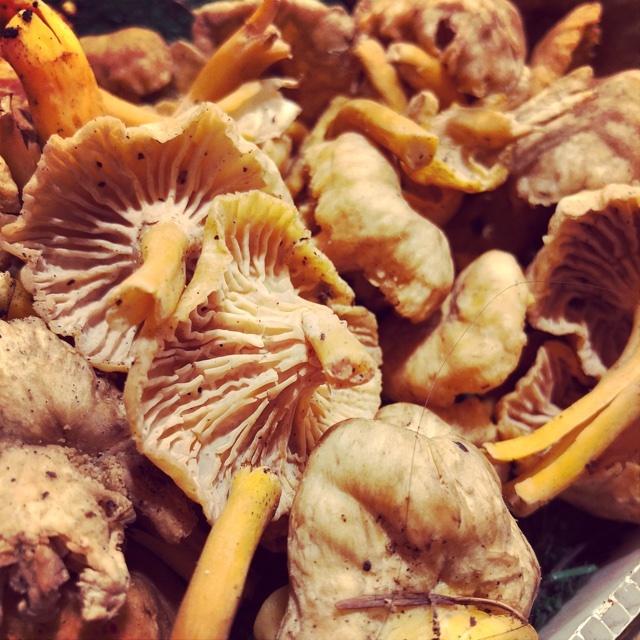 Yellow Foot chanterelle mushrooms are favored for their small size and mild flavor and have the versatility to complement many flavors in culinary dishes such as pasta. Yellow Foot chanterelle mushrooms contain fiber, vitamins B, D, and K, and copper. 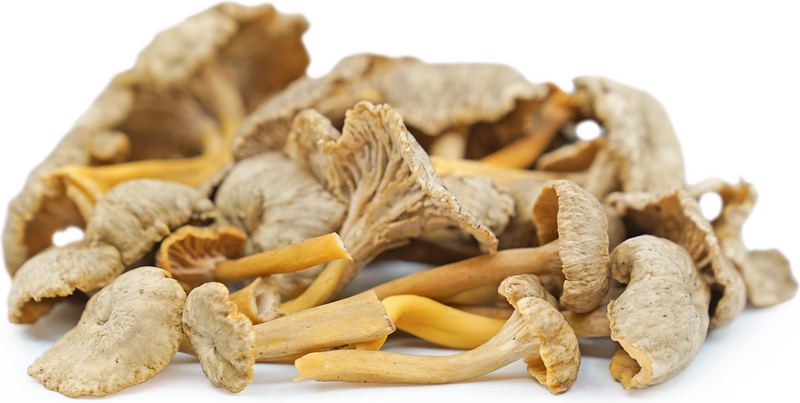 Yellow Foot chanterelle mushrooms are best suited for cooked applications such as frying, sautéing, and boiling. Before cooking, it is important to clean the mushrooms, but not soak them in water as they can become soggy. They should be brushed with a mushroom brush, paper towel, or another small brush to remove debris from the funnel. Yellow Foot chanterelles are popularly sautéed in butter and spices and served as a stand-alone side dish, stuffed into pasta, layered in a roast beef sandwich, or are served with lightly flavored vegetable dishes, meats, and soups. They can also be cooked in stews, used in stocks, chopped into stuffing, pickled or dried for extended use, or fried for a crispy appetizer. Yellow Foot chanterelle mushrooms pair well with goose, grilled fish, steak, bacon, eggs, carrots, celery, radicchio, onion, shallots, herbs and spices such as sage, rosemary, tarragon, marjoram, dill, thyme, parsley, and saffron, barley, polenta, wild rice, brandy, white wine, beef stock, cream, and potatoes. They will keep for a couple of days when stored unwashed, in a paper bag in the refrigerator. Yellow Foot chanterelle mushrooms were originally named Agaricus aurora in 1783 when they were first recorded by German mycologist August Johann Georg Karl Batsch. Since then, the mushroom has undergone many different names and classification changes and was ultimately classified as Craterellus tubaeformisis which is a composite species made up of several closely-related varieties that are found in the same northern, cold climate forests. Yellow Foot chanterelle mushrooms have been growing in cold, temperate forests since ancient times, but were first recorded in 1783. Today Yellow Foot chanterelle mushrooms can be found at local markets and specialty grocers in North America, Europe, and Asia. Recipes that include Yellow Foot Chanterelle Mushrooms. One is easiest, three is harder. People have shared Yellow Foot Chanterelle Mushrooms using the Specialty Produce app for iPhone and Android. 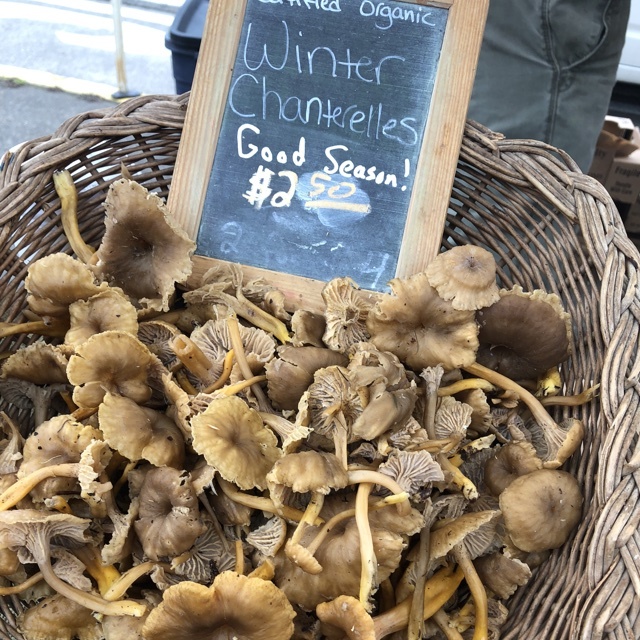 Sharer's comments : Yellow Foot Chanterelle Mushrooms spotted at University District Farmers Market. Delicate and woodsy, excellent sauteed on anything: pizza, eggs, pasta sauce... the list goes on and on! Sharer's comments : Yellow Foot Chanterelle Mushrooms spotted at Lane County Farmers Market. 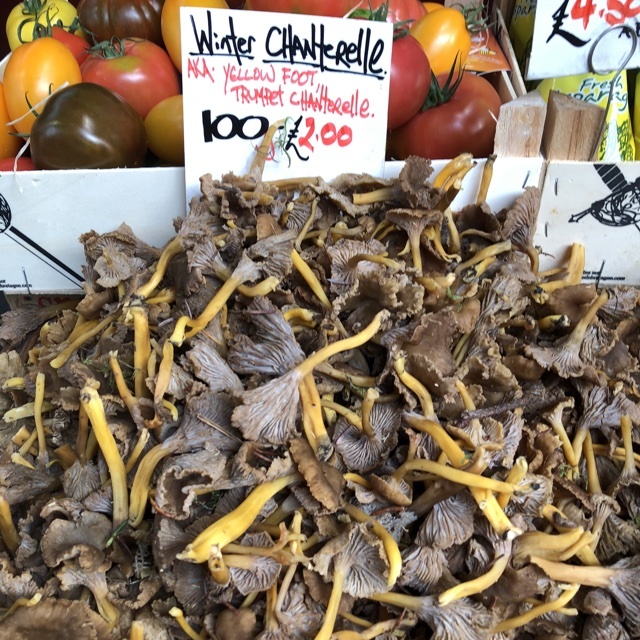 Sharer's comments : Yellow Foot Chanterelle Mushrooms spotted at Pike Place Market. Local, wild Yellowfoot Chantrells - sliced and sauteed with a little salt and butter, YUM!